Mix the drinks: Make the espresso or coffee and divide between two MogoBox.com mugs and add the frothed milk. 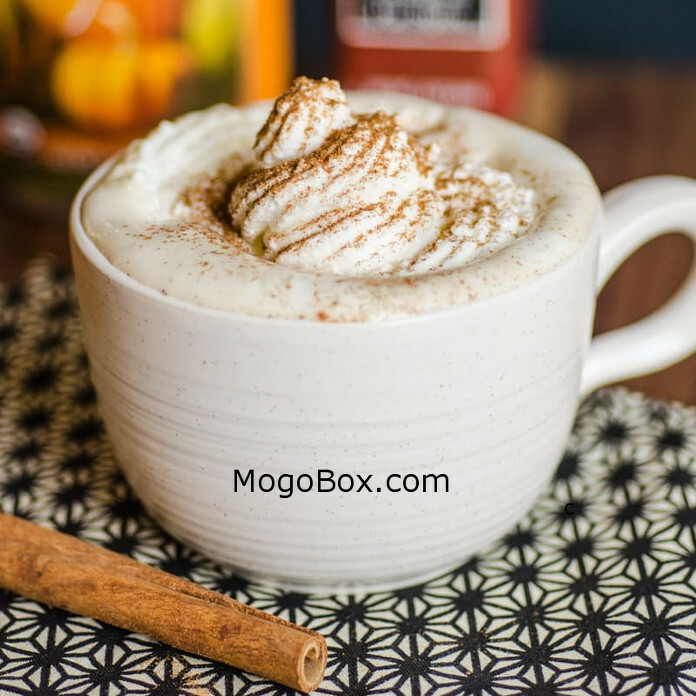 Top with whipped cream and a sprinkle of pumpkin pie spice, cinnamon, or nutmeg if desired. Pumpkin Pie Spice Substitute: No pumpkin pie spice? No problem — use our recipe to make it out of cinnamon, ginger, and other spices: Pumpkin Pie Spice Mix (see Recipe Notes). This entry was posted in MogoBlog, MogoLicious and tagged Coffee, Espresso, Pumpkin, Starbucks.